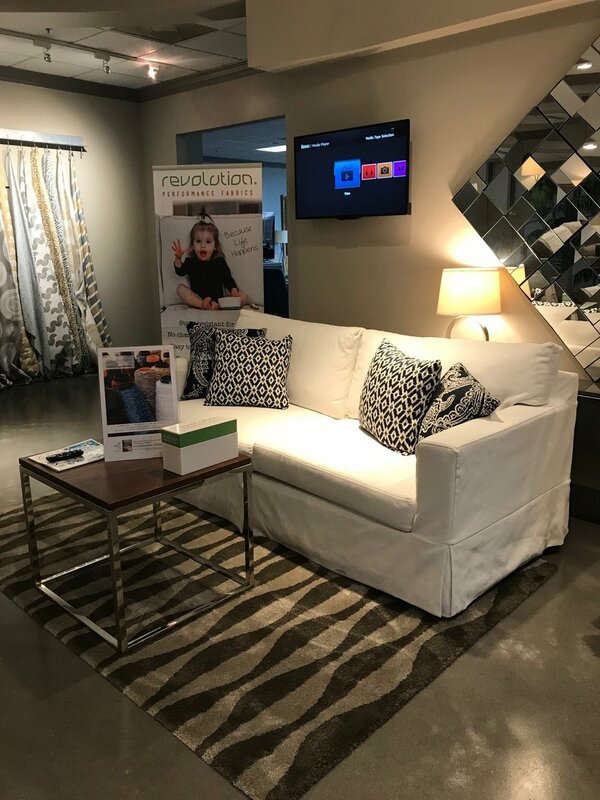 This season, we debuted Revolution Chenille! 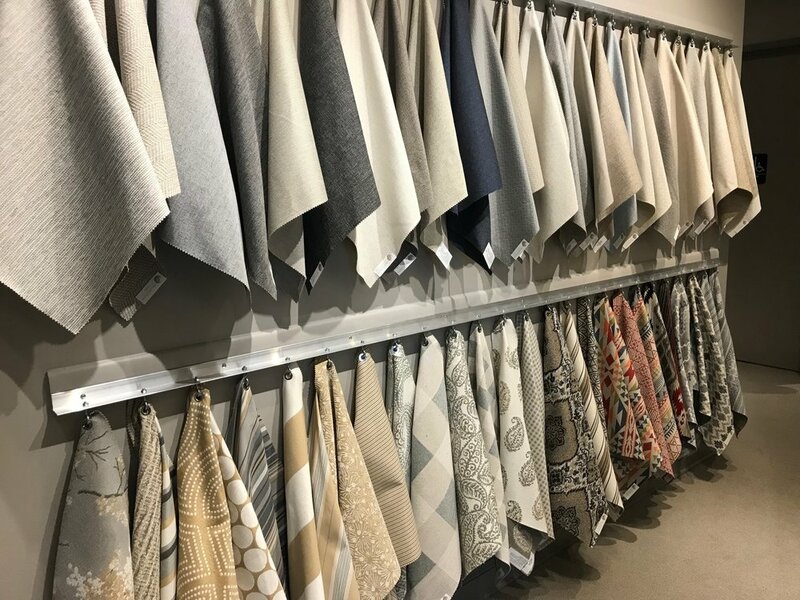 The chenille collection has the luxurious and soft hand that chenilles are known for, but with the stain resistance and cleanability of Revolution. Below: A selection of our new Revolution Chenilles! Revolution Outdoor is coming to a patio near you! We are so excited to offer our customers a PFC chemical free, easy to clean outdoor fabric. Revolution Outdoor has 1500 hours of light fastness, making it the perfect choice for porches, pool chairs and more. Revolution Outdoor also has a water repellent finish (without PFCs) to ensure the fabric will not mold after getting wet from rain or dew. Revolution Outdoor will hit the marketplace and be available for purchase in late Summer 2018. 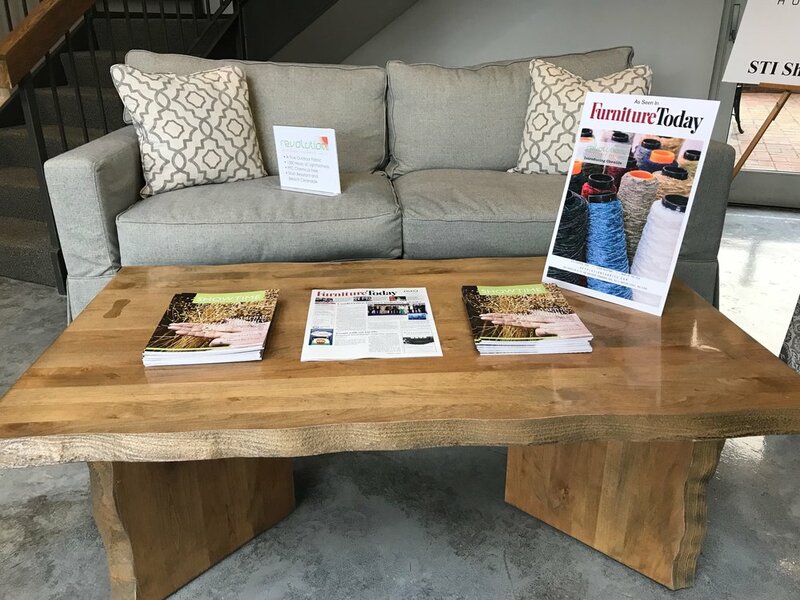 Below: Revolution Outdoor making an appearance at the lobby of the Home Furnishings Center! Pictured is Revolution Outdoor fabric, Rhumba. Below: The Revolution Design Center! 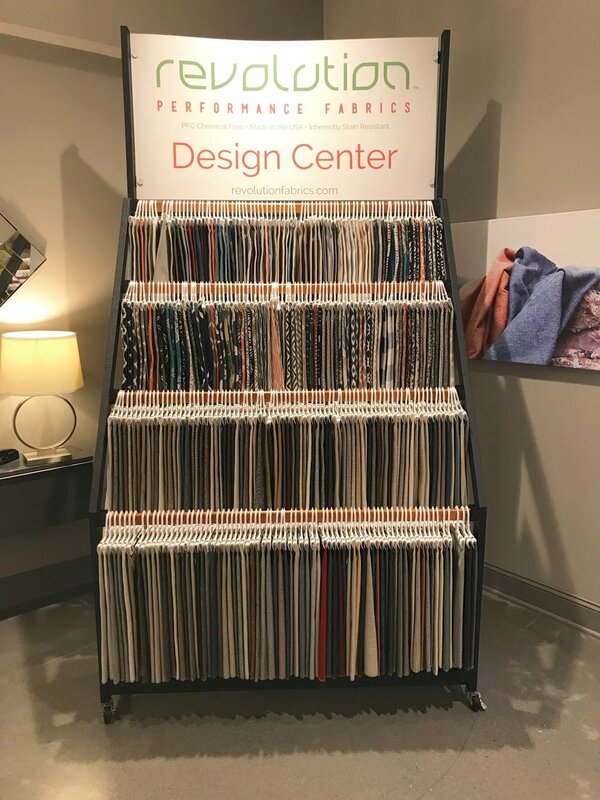 STI, the makers of Revolution Performance Fabrics, presented the new Revolution, Revolution Plus and STI fabrics to their valued customers at June 2018 Showtime. To learn more about STI and Revolution at www.revolutionfabrics.com. 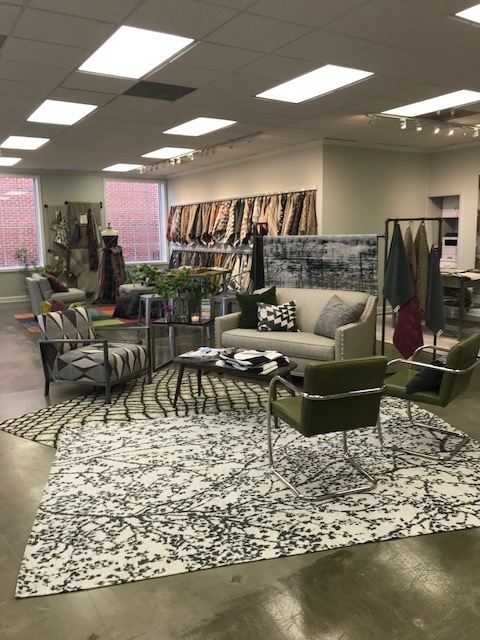 Brentwood Textiles also has a showroom at the Home Furnishings Center in High Point. 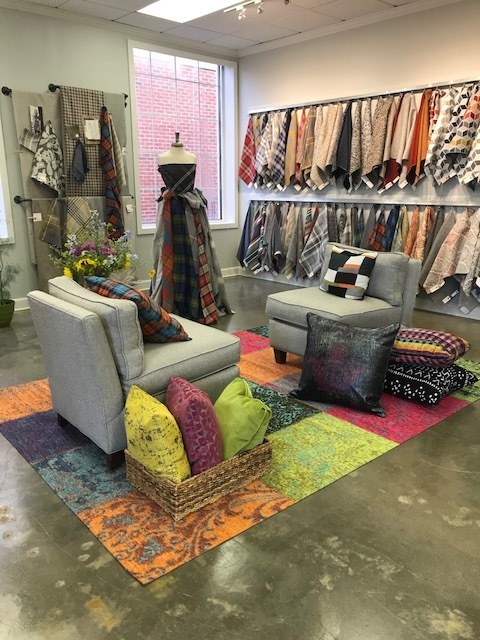 Kathy Dotterer, the Director of Design, always makes their showroom feel fun, welcoming and of course... beautiful! To learn more about Brentwood Textiles, visit www.BrentwoodTextiles.com. 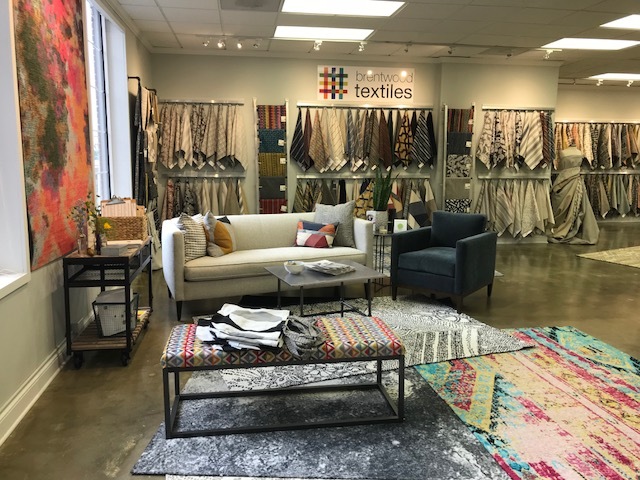 STI has recently formed a partnership with Magnolia Home, a Georgia based fine fabrics company that sells beautiful indoor and outdoor prints. Magnolia's beautiful prints are the perfect complement to STI's classic basecloths. 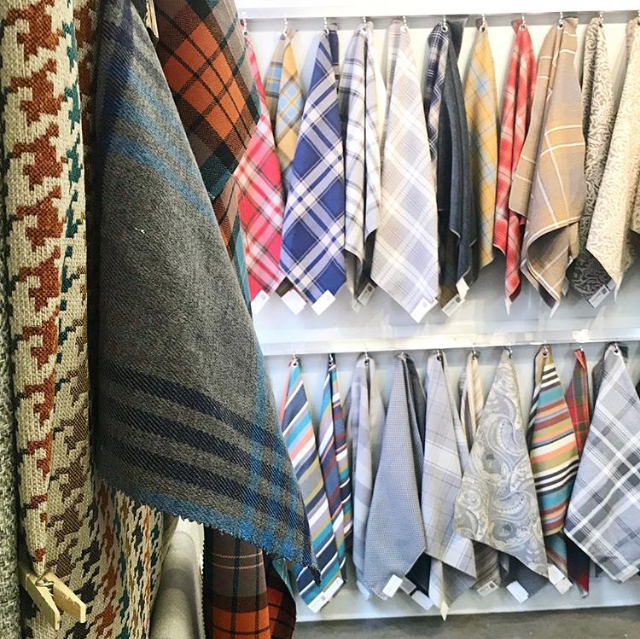 Magnolia also offers their fabric by the yard. 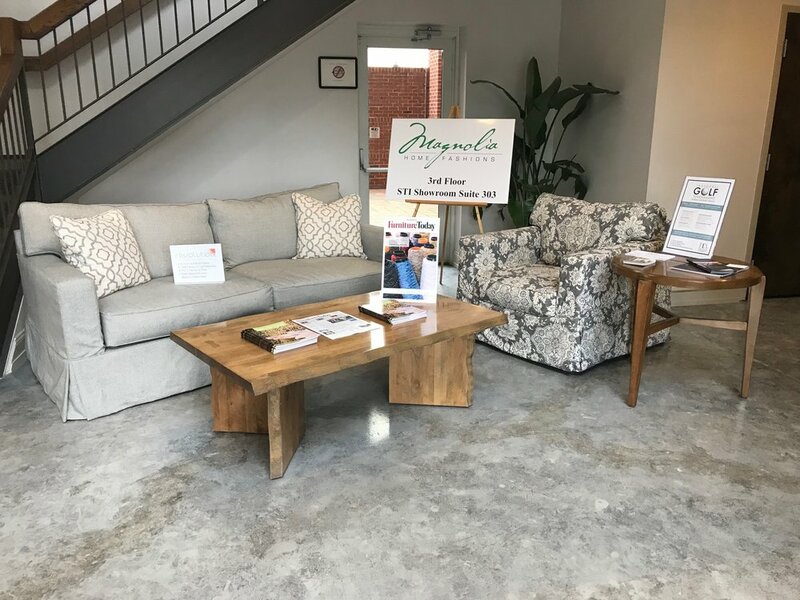 To learn more about Magnolia Home, visit www.MagnoliaHome.com. Every Showtime, Glen Read and Kathy Dotterer design Revolution tote bags for our customers! This season, Glen used pattern Whiskey River and Kathy used pattern Eclipse for their bags. Check out these cool bags! Now it's time to start getting ready for December 2018 Showtime!